Well after reading Quran so many times still read quite often there is hardly anything on prophet of Islam and his life. Although we can get lot more stories and information from hadith and its stories very little is written i Quran. But Islamic intellectuals specially from Pakistan extract all sorts of information from Quran on Prophet Muhammad and they publish often in newspapers., With Politics, Elections and that "Finality of Prophet-hood of Muhammad (PBUH)" being the only important hot subject in land of pure where people get killed on it.. THE Holy Quran has used a number of sublime terms to describe the Blessed Prophet (PBUH). On this day associated with his birth, it would be useful to ponder over some of these metaphysical terms used by the Almighty in His Book about His Prophet to gain a better understanding of the Messenger’s personality, and what lessons these titles hold for mankind. In verse 46 of Surah Ahzab, the Almighty describes the Prophet as “an illuminating lamp (Sirajam muneera)”. Just as a lamp dispels darkness, through His Prophet, Allah seeks to illuminate the souls of mankind. At another place in the Holy Book, the Creator has termed the Prophet “a mercy to the worlds” (21:107). It is worth noting that here the Most Beneficent, the Most Merciful is describing the Prophet as a manifestation of His mercy. Harsh actions are antithetical to what the Prophet (PBUH) taught. At yet another point in the Quran Allah proclaims about His Prophet: “And indeed, you are of a great moral character (khulqin azeem)” (68:4). While nearly all Muslims with a basic knowledge of the Quran are aware of these mystical terms used for the Holy Prophet, how many pause to actually think about what these terms imply when we consider the fact that the Quran also terms the Messenger “uswatul hasana (an excellent example)” for humanity? This “excellent example” has variously been described as a source of light, compassion and moral distinction. Yet is it not unfortunate that many who claim to love and follow the Prophet are actually doing exactly the opposite of what emulating this example demands, with most Muslim societies lacking the light of knowledge, benevolence and compassion, as well as superior ethics? Perhaps the reason for this discrepancy is that despite claiming to love and follow the Holy Prophet, Muslims today have forgotten what the Messenger himself said about his primary task in this world: as quoted in a hadith, the Prophet said that he has been sent “to perfect the morals”. Put plainly, without controlling the self and constantly battling our inner demons that drive us towards negative behaviour, we will not be able to grasp the spiritual light of the Prophet that illuminates hearts — the lamp mentioned in the Quran. Praising him is an act of devotion; acting upon his guidelines is even more important. But in this day and age of great trials and tribulations, where so many claim to be representing ‘true faith’, where is this guidance and light that the Holy Book talks about to be found? Indeed, for the seeker of truth, the pitfalls are many. For example, there are numerous self-appointed ‘defenders of faith’ whose harsh actions, forked tongues and rabble-rousing antics are completely antithetical to what the Prophet has taught. In the words of Hazrat Ali, “Through him [the Prophet] the signs of guidance have been lighted and the gloom of blindness (misguidance) has been dispelled”. Perhaps to seek this ‘light’, rather than trying to fix the world, one must engage in what has been described in ahadith as jihad al-akbar, or combat with the self. Without such self-examination and criticism, whether one is dressed in the flowing robes of a cleric, or in any other get-up, spiritual enlightenment and moral excellence will be difficult to achieve. It is the pettiness and meanness within — greed, malice, envy, love of material pleasures — that must be conquered. This is the essence of what the Prophet has taught us. To treat the weak and downtrodden with kindness, to stand up to the oppressor, to work for a more just and egalitarian society — these noble goals, arguably, lie at the heart of the Sunnah. But are these ideals — both at the societal and individual levels — even a priority for us? For centuries, saints, seekers and sages have used the Prophet’s example for khudsaazi, or to ‘build the self’; these formulae are not just for intellectual consumption, but for emulation. There is a giant moral vacuum in our world, particularly in Muslim societies, where there is an overdose of religiosity, but very little spirituality. Emulation doesn’t mean literally and ritualistically adopting the ways of the seventh century; rather it means living as per the requirements of the age, but with a firm moral anchor that can help one differentiate between right and wrong. So what are the verses ?? Well after reading Quran so many times still read quite often there is hardly anything on prophet of Islam and his life. Although we can get lot more stories and information from hadith and its stories very little is written in Quran. But Islamic intellectuals specially from Pakistan extract all sorts of information from Quran on Prophet Muhammad and they publish often in newspapers., With Politics, Elections and that "Finality of Prophet-hood of Muhammad (PBUH)" being the only important hot subject in land of pure where people get killed on it..
That I said on December 03, 2017 and 21 days later I am reading those verses .,let us see what they say ..
Yusuf Ali : We sent thee not, but as a Mercy for all creatures. Mohsin Khan: And We have sent you (O Muhammad صلى الله عليه وسلم): not but as a mercy for the 'Alamin (mankind, jinn and all that exists). Shakir : And We have not sent you but as a mercy to the worlds. Saheeh: 107: And We have not sent you, [O Muhammad], except as a mercy to the worlds. Yusuf Ali : And as one who invites to Allah's (grace) by His leave, and as a lamp spreading light. Shakir: And as one inviting to Allah by His permission, and as a light-giving torch. Mohsin Khan: 46: And as one who invites to Allah [Islamic Monotheism, i.e. to worship none but Allah (Alone)] by His Leave, and as a lamp spreading light (through your instructions from the Qur'an and the Sunnah - the legal ways of the Prophet صلى الله عليه وسلم ). Saheeh: And one who invites to Allah, by His permission, and an illuminating lamp. Yusuf Ali: Allah and His angels send blessings on the Prophet: O ye that believe! Send ye blessings on him, and salute him with all respect. Shakir : Surely Allah and His angels bless the Prophet; O you who believe! call for (Divine) blessings on him and salute him with a (becoming) salutation. Mohsin Khan: Allah sends His Salat (Graces, Honours, Blessings, Mercy) on the Prophet (Muhammad صلى الله عليه وسلم), and also His angels (ask Allah to bless and forgive him). O you who believe! Send your Salat on (ask Allah to bless) him (Muhammad صلى الله عليه وسلم), and (you should) greet (salute) him with the Islamic way of greeting (salutation i.e. As-Salamu 'Alaikum ). Saheeh: Indeed, Allah confers blessing upon the Prophet, and His angels [ask Him to do so]. O you who have believed, ask [Allah to confer] blessing upon him and ask [Allah to grant him] peace. 1). Those three verses are general statements that will fit to any alleged prophet of any time and are NOTHING TO DO PROPHET OF ISLAM..
2)..Fools take random verses from Quran and attribute them to Prophet of Islam who allegedly named as "Muhammad". And again we must realize here, that Arabic word "Muhammad" could be used as an adjective to any name., to any person at any time . that words simply means "A leader "..
Who was Quranic Muhammad ? looking for critical answers to such simple questions using brain is really taxing. Hence this folder of "Inquiring in to Prophet Muhammad's Life from Quran" often goes down the drain due to many distractions well let us start reading Quran again.. So this iswhat i wrote some 8 months ago on chapter 51 "Yunus "
Out 114 chapters of Quran we read 50 chapters through its alleged revelation order without learning anything about Prophet of Islam., Well there is NOTHING IN IT to learn about prophet of Islam ... anyway let us read that chapter 51 . And that Chapter 51 is supposed to Chapter10 of the book with some 109 verses and allegedly revealed in Mecca and its name is "Yunus " ., well that is whole chapter all 109 verses of it., Let me read it again to find wisdom and to find history of early Islam from those verses .. So our next Quran chapter surah 52 is chapter 11 of the book named as "Hud " with some 123 verses allegedly revealed at Macca. 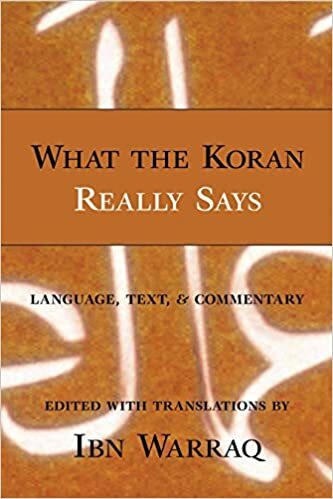 well before i read that chapter let me add another Quran translation pdf file Muhammad A. S. Abdel Haleem Quran translation here..
Muhammad A. S. Abdel Haleem, OBE, FCIL, is Professor of Islamic Studies at SOAS, University of London in London, England, and editor of the Journal of Qur'anic Studies. Born in Egypt, Abdel Haleem learned the Qur'an by heart during his childhood, and is now a hafiz. In 2004, Oxford University Press published his translation of the Qur'an into English. He has also published several other works in this field. Abdel Haleem claims to abide by the Qur'an and authentic prophetic teachings as a practicing Muslim. He argued, for example, that British Muslims, until they gave up their citizenship or permit to live in United Kingdom, could not fight against British forces in the Afghanistan conflict. Abdel Haleem was appointed an Officer of the Order of the British Empire (OBE) in the Queen's 2008 Birthday Honours. in recognition of his services to Arabic culture, literature and to inter-faith understanding. A Meccan sura named after the prophet Hud whose story is given in verses 50–60. It begins by announcing that the Prophet is sent both to warn and to give good news, and the body of the sura focuses on the warning aspect: God watches over everything and is aware of all that people do (verses 5–6, 111–12, 123). The many stories of past prophets, which serve to warn the disbelievers, also strengthen the heart of the Prophet (verse 120). 1Alif Lam Ra [This is] a Scripture whose verses are perfected, then set out clearly, from One who is all wise, all aware. 2[Say, Prophet], ‘Worship no one but God. I am sent to you from Him to warn and to give good news. 3Ask your Lord for forgiveness, then turn back to Him. He will grant you wholesome enjoyment until an appointed time, and give His grace to everyone who has merit. But if you turn away, I fear you will have torment on a terrible Day: 4it is to God that you will all return, and He has power over everything.’ 5See how they [the disbelievers] wrap themselves up, to hide their feelings from Him. But even when they cover themselves with their clothes, He knows what they conceal and what they reveal: He knows well the innermost secrets of the heart. 6There is not a creature that moves on earth whose provision is not His concern. He knows where it lives and its [final] resting place: it is all [there] in a clear record. 7It is He who created the heavens and the earth in six Days a ––His ruleb extends over the watersc too––so as to test which of you does best. Yet [Prophet], if you say to them, ‘You will be resurrected after death,’ the disbelievers are sure to answer, ‘This is clearly nothing but sorcery.’ 8If We defer their punishment for a determined time,they are sure to say, ‘What is holding it back?’ But on the Day it comes upon them, nothing will divert it from them; what they mocked will be all around them. 9How desperate and ungrateful man becomes when We let him taste Our mercy and then withhold it! 10And if We let him taste mercy after some harm has touched him, he is sure to say, ‘Misfortune has gone away from me.’ He becomes exultant and boastful. 11Not so those who are steadfast and do good deeds: they will have forgiveness and a great reward. 12So [Prophet] are you going toa abandon some part of what is revealed to you, and let your heart be oppressed by it, because they say, ‘Why is no treasure sent down to him? Why has no angel come with him?’? You are only there to warn; it is God who is in charge of everything. 13If they say, ‘He has invented it himself,’ say, ‘Then produce ten invented suras like it, and call in whoever you can beside God, if you are truthful.’ 14If they do not answer you, then you will all know that it is sent down containing knowledge from God, and that there is no god but Him. Then will you submit to Him? 15If any desire [only] the life of this world with all its finery, We shall repay them in full in this life for their deeds– they will be given no less– 16but such people will have nothing in the Hereafter but the Fire: their work here will be fruitless and their deeds futile. 17Can they be compared to those who have clear proof from their Lord, b recited by a witness from Him,c and before it the Book of Moses, as a guide and mercy? These people believe in it, whereas those groups that deny its truth are promised the Fire. So have no doubt about it [Prophet]: it is the Truth from your Lord, though most people do not believe so. 18Who could do more wrong than someone who invents lies about God? Such people will be brought before their Lord, and the witnesses will say, ‘These are the ones that lied about their Lord.’ God’s rejection is the due of those who do such wrong, 19who hinder others from God’s path, trying to make it crooked, and deny the life to come. 20They will not escape on earth, and there will be no one other than God to protect them. Their punishment will be doubled. They could not hear, and they did not see. well those are 20 verses of Quran from that Muhammad A. S. Abdel Haleem Quran.... damn this flat wall writing Quran is hard to read.. any way that is what it is in that Surah 52..."hud"
George Michael was a homosexual, and a soul who desired this contemptible world, and he got this world, but look at his end. He died fat, ugly and alone, with no one beside him. And whoever chooses the life of this world, according to Christianity and Islam, their destination is hell. yezevee is some crazy person. Whereas you spend your time on the internet telling people how they deserve to go to hell. It sounds like you're already in hell, to be honest, and I have no idea why you might want to inflict that on us. Either way, you're better off doing it elsewhere. 1: Alif Lam Ra [This is] a Scripture whose verses are perfected, then set out clearly, from One who is all wise, all aware. 2: [Say, Prophet], ‘Worship no one but God. I am sent to you from Him to warn and to give good news. 3. And you that ask forgiveness of your Lord, then turn to Him; He will provide you with a goodly provision to an appointed term and bestow His grace on every one endowed with grace, and if you turn back, then surely I fear for you the chastisement of a great day. 4. To Allah is your return, and He has power over all things. 5: See how they [the disbelievers] wrap themselves up, to hide their feelings from Him. But even when they cover themselves with their clothes, He knows what they conceal and what they reveal: He knows well the innermost secrets of the heart. 5. Now surely they fold up their breasts that they may conceal (their enmity) from Him; now surely, when they use their garments as a covering, He knows what they conceal and what they make public; surely He knows what is in the breasts. 6: There is not a creature that moves on earth whose provision is not His concern. He knows where it lives and its [final] resting place: it is all [there] in a clear record. 6. And there is no animal in the earth but on Allah is the sustenance of it, and He knows its resting place and its depository all (things) are in a manifest book. 7. And He it is Who created the heavens and the earth in six periods-- and His dominion (extends) on the water-- that He might manifest to you, which of you is best in action, and if you say, surely you shall be raised up after death, those who disbelieve would certainly say: This is nothing but clear magic. 8: If We defer their punishment for a determined time,they are sure to say, ‘What is holding it back?’ But on the Day it comes upon them, nothing will divert it from them; what they mocked will be all around them. 8. And if We hold back from them the punishment until a stated period of time, they will certainly say: What prevents it? Now surely on the day when it will come to them, it shall not be averted from them and that which they scoffed at shall beset them. 9: How desperate and ungrateful man becomes when We let him taste Our mercy and then withhold it! 9. And if We make man taste mercy from Us, then take it off from him, most surely he is despairing, ungrateful. 10: And if We let him taste mercy after some harm has touched him, he is sure to say, ‘Misfortune has gone away from me.’ He becomes exultant and boastful. John Edward Wansbrough (February 19, 1928 – June 10, 2002) was an American historian who taught at the University of London's School of Oriental and African Studies (SOAS). By his fundamental criticism of the historical credibility of the classical Islamic narratives concerning Islam's beginnings and his attempt to develop an alternative, historically more credible version of Islam's beginnings, Wansbrough founded the so-called "revisionist" school of Islamic Studies. This excellent collection of critical commentaries on the Koran brings together outstanding articles by noted scholars from the beginning of the 20th century to recent times. 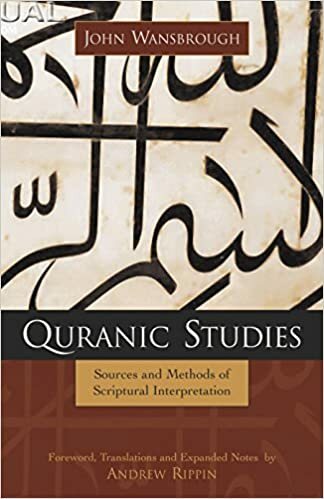 These important studies, as well as the editor's own lengthy introduction, show that little about the text of the Koran can be taken at face value. Among the fascinating topics discussed is evidence that early Muslims did not understand Muhammad's original revelation, that the ninth-century explosion of literary activity was designed to organize and make sense of an often incoherent text, and that much of the traditions surrounding Muhammad's life were fabricated long after his death in an attempt to give meaning to the Koran. Also of interest are suggestions that Coptic and other Christian sources heavily influenced much of the text and that some passages reflect even an Essenian background reaching back to the community of the Dead Sea Scrolls. This valuable compilation will be a welcome resource to interested lay readers and scholars alike. well download and read the books then read Quran.. again and again..
Out of 114 chapters of Quran we read 50 chapters through its alleged revelation order without learning anything about Prophet of Islam., Well there is NOTHING IN IT to learn about prophet of Islam ... anyway let us read that chapter 51 . And that Chapter 51 is supposed to Chapter10 of the book with some 109 verses and allegedly revealed in Mecca and its name is "Yunus "
well that is whole chapter all 109 verses of it., Let me read it again to find wisdom and to find history of early Islam from those verses ..
3 And you that ask forgiveness of your Lord, then turn to Him; He will provide you with a goodly provision to an appointed term and bestow His grace on every one endowed with grace, and if you turn back, then surely I fear for you the chastisement of a great day. 4 To Allah is your return, and He has power over all things. 5 Now surely they fold up their breasts that they may conceal (their enmity) from Him; now surely, when they use their garments as a covering, He knows what they conceal and what they make public; surely He knows what is in the breasts. 6 And there is no animal in the earth but on Allah is the sustenance of it, and He knows its resting place and its depository all (things) are in a manifest book. 7 And He it is Who created the heavens and the earth in six periods-- and His dominion (extends) on the water-- that He might manifest to you, which of you is best in action, and if you say, surely you shall be raised up after death, those who disbelieve would certainly say: This is nothing but clear magic. 8 And if We hold back from them the punishment until a stated period of time, they will certainly say: What prevents it? Now surely on the day when it will come to them, it shall not be averted from them and that which they scoffed at shall beset them. 9 And if We make man taste mercy from Us, then take it off from him, most surely he is despairing, ungrateful. 11 Except those who are patient and do good, they shall have forgiveness and a great reward. 12 Then, it may be that you will give up part of what is revealed to you and your breast will become straitened by it because they say: Why has not a treasure been sent down upon him or an angel come with him? You are only a warner; and Allah is custodian over all things. 13 Or, do they say: He has forged it. Say: Then bring ten forged chapters like it and call upon whom you can besides Allah, if you are truthful. 14 But if they do not answer you, then know that it is revealed by Allah's knowledge and that there is no god but He; will you then submit? 15 Whoever desires this world's life and its finery, We will pay them in full their deeds therein, and they shall not be made to. suffer loss in respect of them. 16 These are they for whom there is nothing but fire in the hereafter, and what they wrought in it shall go for nothing, and vain is what they do. 17 Is he then who has with him clear proof from his Lord, and a witness from Him recites it and before it (is) the Book of Musa, a guide and a mercy? These believe in it; and whoever of the (different) parties disbelieves in it, surely it is the truth from your Lord, but most men do not believe. 18 And who is more unjust than he who forges a lie against Allah? These shall be brought before their Lord, and the witnesses shall say: These are they who lied against their Lord. Now surely the curse of Allah is on the unjust. 19 Who turn away from the path of Allah and desire to make it crooked; and they are disbelievers in the hereafter. 20 These shall not escape in the earth, nor shall they have any guardians besides Allah; the punishment shall be doubled for them, they could not bear to hear and they did not see. 21 These are they who have lost their souls, and what they forged is gone from them. 22 Truly in the hereafter they are the greatest losers. 23 Surely (as to) those who believe and do good and humble themselves to their Lord, these are the dwellers of the garden, in it they will abide. 24 The likeness of the two parties is as the blind and the deaf and the seeing and the hearing: are they equal in condition? Will you not then mind? 26 That you shall not serve any but Allah, surely I fear for you the punishment of a painful day. 27 But the chiefs of those who disbelieved from among his people said: We do not consider you but a mortal like ourselves, and we do not see any have followed you but those who are the meanest of us at first thought and we do not see in you any excellence over us; nay, we deem you liars. 28 He said: O my people! tell me if I have with me clear proof from my Lord, and He has granted me mercy from Himself and it has been made obscure to you; shall we constrain you to (accept) it while you are averse from it? 30 And, O my people! who will help me against Allah if I drive them away? Will you not then mind? 31 And I do not say to you that I have the treasures of Allah and I do not know the unseen, nor do I say that I am an angel, nor do I say about those whom your eyes hold in mean estimation (that) Allah will never grant them (any) good-- Allah knows best what is in their souls-- for then most surely I should be of the unjust. 32 They said: O Nuh! indeed you have disputed with us and lengthened dispute with us, therefore bring to us what you threaten us with, if you are of the truthful ones. 34 And if I intend to give you good advice, my advice will not profit you if Allah intended that He should leave you to go astray; He is your Lord, and to Him shall you be returned. 35 Or do they say: He has forged it? Say: If I have forged it, on me is my guilt, and I am clear of that of which you are guilty. 37 And make the ark before Our eyes and (according to) Our revelation, and do not speak to Me in respect of those who are unjust; surely they shall be drowned. 38 And he began to make the ark; and whenever the chiefs from among his people passed by him they laughed at him. He said: If you laugh at us, surely we too laugh at you as you laugh (at us). 39 So shall you know who it is on whom will come a chastisement which will disgrace him, and on whom will lasting chastisement come down. 40 Until when Our command came and water came forth from the valley, We said: Carry in it two of all things, a pair, and your own family-- except those against whom the word has already gone forth, and those who believe. And there believed not with him but a few. 41 And he said: Embark in it, in the name of Allah be its sailing and its anchoring; most surely my Lord is Forgiving, Merciful. 42 And it moved on with them amid waves like mountains; and Nuh called out to his son, and he was aloof: O my son! embark with us and be not with the unbelievers. 43 He said: I will betake myself for refuge to a mountain that shall protect me from the water. Nuh said: There is no protector today from Allah's punishment but He Who has mercy; and a wave intervened between them, so he was of the drowned. 45 And Nuh cried out to his Lord and said: My Lord! surely my son is of my family, and Thy promise is surely true, and Thou art the most just of the judges. 47 He said: My Lord! I seek refuge in Thee from asking Thee that of which I have no knowledge; and if Thou shouldst not forgive me and have mercy on me, I should be of the losers. 48 It was said: O Nuh! descend with peace from Us and blessings on you and on the people from among those who are with you, and there shall be nations whom We will afford provisions, then a painful punishment from Us shall afflict them. 49 These are announcements relating to the unseen which We reveal to you, you did not know them-- (neither) you nor your people-- before this; therefore be patient; surely the end is for those who guard (against evil). 50 And to Ad (We sent) their brother Hud. He said: O my people! serve Allah, you have no god other than He; you are nothing but forgers (of lies). 51 O my people! I do not ask of you any reward for it; my reward is only with Him Who created me; do you not then understand? 52 And, O my people! ask forgiveness of your Lord, then turn to Him; He will send on you clouds pouring down abundance of rain and add strength to your strength, and do not turn back guilty. 54 We cannot say aught but that some of our gods have smitten you with evil. He said: Surely I call Allah to witness, and do you bear witness too, that I am clear of what you associate (with Allah). 56 Surely I rely on Allah, my Lord and your Lord; there is no living creature but He holds it by its forelock; surely my Lord is on the right path. 57 But if you turn back, then indeed I have delivered to you the message with which I have been sent to you, and my Lord will bring another people in your place, and you cannot do Him any harm; surely my Lord is the Preserver of all things. 58 And when Our decree came to pass, We delivered Hud and those who believed with him with mercy from Us, and We delivered them from a hard chastisement. 59 And this was Ad; they denied the communications of their Lord, and disobeyed His apostles and followed the bidding of every insolent opposer (of truth). 60 And they were overtaken by curse in this world and on the resurrection day; now surely Ad disbelieved in their Lord; now surely, away with Ad, the people of Hud. 61 And to Samood (We sent) their brother Salih. He said: O my people! serve Allah, you have no god other than He; He brought you into being from the earth, and made you dwell in it, therefore ask forgiveness of Him, then turn to Him; surely my Lord is Nigh, Answering. 62 They said: O Salih! surely you were one amongst us in whom great expectations were placed before this; do you (now) forbid us from worshipping what our fathers worshipped? And as to that which you call us to, most surely we are in disquieting doubt. 64 And, O my people! this will be (as) Allah's she-camel for you, a sign; therefore leave her to pasture on Allah's earth and do not touch her with evil, for then a near chastisement will overtake you. 65 But they slew her, so he said: Enjoy yourselves in your abode for three days, that is a promise not to be belied. 66 So when Our decree came to pass, We delivered Salih and those who believed with him by mercy from Us, and (We saved them) from the disgrace of that day; surely your Lord is the Strong, the Mighty. 68 As though they had never dwelt in them; now surely did Samood disbelieve in their Lord; now surely, away with Samood. 69 And certainly Our apostles came to Ibrahim with good news. They said: Peace. Peace, said he, and he made no delay in bringing a roasted calf. 70 But when he saw that their hands were not extended towards it, he deemed them strange and conceived fear of them. They said: Fear not, surely we are sent to Lut's people. 71 And his wife was standing (by), so she laughed, then We gave her the good news of Ishaq and after Ishaq of (a son's son) Yaqoub. 72 She said: O wonder! shall I bear a son when I am an extremely old woman and this my husband an extremely old man? Most surely this is a wonderful thing. 73 They said: Do you wonder at Allah's bidding? The mercy of Allah and His blessings are on you, O people of the house, surely He is Praised, Glorious. 74 So when fear had gone away from Ibrahim and good news came to him, he began to plead with Us for Lut's people. 76 O Ibrahim! leave off this, surely the decree of your Lord has come to pass, and surely there must come to them a chastisement that cannot be averted. 77 And when Our apostles came to Lut, he was grieved for them, and he lacked strength to protect them, and said: This is a hard day. 78 And his people came to him, (as if) rushed on towards him, and already they did evil deeds. He said: O my people! these are my daughters-- they are purer for you, so guard against (the punishment of) Allah and do not disgrace me with regard to my guests; is there not among you one right-minded man? 79 They said: Certainly you know that we have no claim on your daughters, and most surely you know what we desire. 80 He said: Ah! that I had power to suppress you, rather I shall have recourse to a strong support. 81 They said: O Lut! we are the apostles of your Lord; they shall by no means reach you; so remove your followers in a part of the night-- and let none of you turn back-- except your wife, for surely whatsoever befalls them shall befall her; surely their appointed time is the morning; is not the morning nigh? 82 So when Our decree came to pass, We turned them upside down and rained down upon them stones, of what had been decreed, one after another. 83 Marked (for punishment) with your Lord and it is not far off from the unjust. 84 And to Madyan (We sent) their brother Shu'aib. He said: O my people! serve Allah, you have no god other than He, and do not give short measure and weight: surely I see you in prosperity and surely I fear for you the punishment of an all-encompassing day. 86 What remains with Allah is better for you if you are believers, and I am not a keeper over you. 87 They said: O Shu'aib! does your prayer enjoin you that we should forsake what our fathers worshipped or that we should not do what we please with regard to our property? Forsooth you are the forbearing, the right-directing one. 90 And ask forgiveness of your Lord, then turn to Him; surely my Lord is Merciful, Loving-kind. 91 They said: O Shu'aib! we do not understand much of what you say and most surely we see you to be weak among us, and were it not for your family we would surely stone you, and you are not mighty against us. 93 And, O my people! act according to your ability, I too am acting; you will come to know soon who it is on whom will light the punishment that will disgrace him and who it is that is a liar, and watch, surely I too am watching with you. 95 As though they had never dwelt in them; now surely perdition overtook Madyan as had perished Samood. 97 To Firon and his chiefs, but they followed the bidding of Firon, and Firon's bidding was not right-directing. 98 He shall lead his people on the resurrection day, and bring them down to the fire; and evil the place to which they are brought. 99 And they are overtaken by curse in this (world), and on the resurrection day, evil the gift which shall be given. 100 This is an account of (the fate of) the towns which We relate to you; of them are some that stand and (others) mown down. 101 And We did not do them injustice, but they were unjust to themselves, so their gods whom they called upon besides Allah did not avail them aught when the decree of your Lord came to pass; and they added but to their ruin. 102 And such is the punishment of your Lord when He punishes the towns while they are unjust; surely His punishment is painful, severe. 103 Most surely there is a sign in this for him who fears the chastisement of the hereafter; this is a day on which the people shall be gathered together and this is a day that shall be witnessed. 104 And We do not delay it but to an appointed term. 105 On the day when it shall come, no soul shall speak except with His permission, then (some) of them shall be unhappy and (others) happy. 107 Abiding therein so long as the heavens and the earth endure, except as your Lord please; surely your Lord is the mighty doer of what He intends. 108 And as to those who are made happy, they shall be in the garden, abiding in it as long as the heavens and the earth endure, except as your Lord please; a gift which shall never be cut off. 109 Therefore be not in doubt as to what these worship; they do not worship but as their fathers worshipped before; and most surely We will pay them back in full their portion undiminished. 110 And certainly We gave the book to Musa, but it was gone against; and had not a word gone forth from your Lord, the matter would surely have been decided between them; and surely they are in a disquieting doubt about it. 111 And your Lord will most surely pay back to all their deeds in full; surely He is aware of what they do. 112 Continue then in the right way as you are commanded, as also he who has turned (to Allah) with you, and be not inordinate (O men! ), surely He sees what you do. 113 And do not incline to those who are unjust, lest the fire touch you, and you have no guardians besides Allah, then you shall not be helped. 114 And keep up prayer in the two parts of the day and in the first hours of the night; surely good deeds take away evil deeds this is a reminder to the mindful. 115 And be patient, for surely Allah does not waste the reward of the good-doers. 116 But why were there not among the generations before you those possessing understanding, who should have forbidden the making of mischief in the earth, except a few of those whom We delivered from among them? And those who were unjust went after what they are made to enjoy of plenty, and they were guilty. 117 And it did not beseem your Lord to have destroyed the towns tyrannously, while their people acted well. 118 And if your Lord had pleased He would certainly have made people a single nation, and they shall continue to differ. 119 Except those on whom your Lord has mercy; and for this did He create them; and the word of your Lord is fulfilled: Certainly I will fill hell with the jinn and the men, all together. 120 And all we relate to you of the accounts of the apostles is to strengthen your heart therewith; and in this has come to you the truth and an admonition, and a reminder to the believers. 121 And say to those who do not believe: Act according to your state; surely we too are acting. 122 And wait; surely we are waiting also. 123 And Allah's is the unseen in the heavens and the earth, and to Him is returned the whole of the affair; therefore serve Him and rely on Him, and your Lord is not heedless of what you do. that is what HUD says .. well let us get some nuggets out of it and find out whether we have any thing about Prophet of Islam "Muhammad"
Well I didn't even print those nuggets of Surah HUD ., but I know there are some nuggets there is bit of Confucius in that surah hud. Now usual distraction on Reading Quran through its so-called revelation order comes because we have a problem that I often encountered reading Quran and understanding Quran specially when you read only one verse. And our new friend "curious-lurker " highlighted that point. curious-lurker in another folder saying something basic and important .. ............................The problem with your reading is that it’s not in the Quranic text. The sentence is incomplete. The translations add what they think should be there between the brackets, they’re filling in the blank with their own idea. And that is one reason why I often tell folks "DO NOT READ SINGLE VERSE FROM QURAN AND START DEBATING ABOUT IT "
Read whole book .. read whole surah ...or at least read 5 verses below and 5 verses above the verse of interest ... so we can make a song ..sonnet out of it .. a little prayer of Allah god whatever for children ..
and here is the sequence of reading I normally do if I want to understand that 41:41 verse. 4 A herald of good news and a warner, but most of them turn aside so they hear not. 5 And they say: Our hearts are under coverings from that to which you call us, and there is a heaviness in our ears, and a veil hangs between us and you, so work, we too are working. 7 (To) those who do not give poor-rate and they are unbelievers in the hereafter. 8 (As for) those who believe and do good, they shall surely have a reward never to be cut off. 9 Say: What! do you indeed disbelieve in Him Who created the earth in two periods, and do you set up equals with Him? That is the Lord of the Worlds. 10 And He made in it mountains above its surface, and He blessed therein and made therein its foods, in four periods: alike for the seekers. 11 Then He directed Himself to the heaven and it is a vapor, so He said to it and to the earth: Come both, willingly or unwillingly. They both said: We come willingly. 12 So He ordained them seven heavens in two periods, and revealed in every heaven its affair; and We adorned the lower heaven with brilliant stars and (made it) to guard; that is the decree of the Mighty, the Knowing. 13 But if they turn aside, then say: I have warned you of a scourge like the scourge of Ad and Samood. 14 When their apostles came to them from before them and from behind them, saying, Serve nothing but Allah, they said: If our Lord had pleased He would certainly have sent down angels, so we are surely unbelievers in that with which you are sent. 15 Then as to Ad, they were unjustly proud in the land, and they said: Who is mightier in strength than we? Did they not see that Allah Who created them was mightier than they in strength, and they denied Our communications? 16 So We sent on them a furious wind in unlucky days, that We may make them taste the chastisement of abasement in this world's life; and certainly the chastisement of the hereafter is much more abasing, and they shall not be helped. 17 And as to Samood, We showed them the right way, but they chose error above guidance, so there overtook them the scourge of an abasing chastisement for what they earned. 18 And We delivered those who believed and guarded (against evil). 19 And on the day that the enemies of Allah shall be brought together to the fire, then they shall be formed into groups. 20 Until when they come to it, their ears and their eyes and their skins shall bear witness against them as to what they did. 21 And they shall say to their skins: Why have you borne witness against us? They shall say: Allah Who makes everything speak has made us speak, and He created you at first, and to Him you shall be brought back. 22 And you did not veil yourselves lest your ears and your eyes and your skins should bear witness against you, but you thought that Allah did not know most of what you did. 23 And that was your (evil) thought which you entertained about your Lord that has tumbled you down into perdition, so are you become of the lost ones. 24 Then if they will endure, still the fire is their abode, and if they ask for goodwill, then are they not of those who shall be granted goodwill. 25 And We have appointed for them comrades so they have made fair-seeming to them what is before them and what is behind them, and the word proved true against them-- among the nations of the jinn and the men that have passed away before them-- that they shall surely be losers. 26 And those who disbelieve say: Do not listen to this Quran and make noise therein, perhaps you may overcome. 27 Therefore We will most certainly make those who disbelieve taste a severe punishment, and We will most certainly reward them for the evil deeds they used to do. 28 That is the reward of the enemies of Allah-- the fire; for them therein shall be the house of long abiding; a reward for their denying Our communications. 29 And those who disbelieve will say: Our Lord! show us those who led us astray from among the jinn and the men that we may trample them under our feet so that they may be of the lowest. 30 (As for) those who say: Our Lord is Allah, then continue in the right way, the angels descend upon them, saying: Fear not, nor be grieved, and receive good news of the garden which you were promised. 32 A provision from the Forgiving, the Merciful. 33 And who speaks better than he who calls to Allah while he himself does good, and says: I am surely of those who submit? 34 And not alike are the good and the evil. Repel (evil) with what is best, when lo! he between whom and you was enmity would be as if he were a warm friend. 35 And none are made to receive it but those who are patient, and none are made to receive it but those who have a mighty good fortune. 36 And if an interference of the Shaitan should cause you mischief, seek refuge in Allah; surely He is the Hearing, the Knowing. 37 And among His signs are the night and the day and the sun and the moon; do not prostrate to the sun nor to the moon; and prostrate to Allah Who created them, if Him it is that you serve. 38 But if they are proud, yet those with your Lord glorify Him during the night and the day, and they are not tired. 39 And among His signs is this, that you see the earth still, but when We send down on it the water, it stirs and swells: most surely He Who gives it life is the Giver of life to the dead; surely He has power over all things. 40 Surely they who deviate from the right way concerning Our communications are not hidden from Us. What! is he then who is cast into the fire better, or he who comes safe on the day of resurrection? Do what you like, surely He sees what you do. 42 Falsehood shall not come to it from before it nor from behind it; a revelation from the Wise, the Praised One. 43 Naught is said to you but what was said indeed to the apostles before you; surely your Lord is the Lord of forgiveness and the Lord of painful retribution. 44 And if We had made it a Quran in a foreign tongue, they would certainly have said: Why have not its communications been made clear? What! a foreign (tongue) and an Arabian! Say: It is to those who believe a guidance and a healing; and (as for) those who do not believe, there is a heaviness in their ears and it is obscure to them; these shall be called to from a far-off place. 45 And certainly We gave the Book to Musa, but it has been differed about, and had not a word already gone forth from your Lord, judgment would certainly have been given between them; and most surely they are in a disquieting doubt about it. 46 Whoever does good, it is for his own soul, and whoever does evil, it is against it; and your Lord is not in the least unjust to the servants. 47 To Him is referred the knowledge of the hour, and there come not forth any of the fruits from their coverings, nor does a female bear, nor does she give birth, but with His knowledge; and on the day when He shall call out to them, Where are (those whom you called) My associates? They shall say: We declare to Thee, none of us is a witness. 48 And away from them shall go what they called upon before, and they shall know for certain that there is no escape for them. 49 Man is never tired of praying for good, and if evil touch him, then he is despairing, hopeless. 50 And if We make him taste mercy from Us after distress that has touched him, he would most certainly say: This is of me, and I do not think the hour will come to pass, and if I am sent back to my Lord, I shall have with Him sure good; but We will most certainly inform those who disbelieved of what they did, and We will most certainly make them taste of hard chastisement. 51 And when We show favor to man, he turns aside and withdraws himself; and when evil touches him, he makes lengthy supplications. 52 Say: Tell me if it is from Allah; then you disbelieve in it, who is in greater error than he who is in a prolonged opposition? 53 We will soon show them Our signs in the Universe and in their own souls, until it will become quite clear to them that it is the truth. Is it not sufficient as regards your Lord that He is a witness over all things? 54 Now surely they are in doubt as to the meeting of their Lord; now surely He encompasses all things. A herald of good news and a warner, but most of them turn aside so they hear not. And they say: Our hearts are under coverings from that to which you call us, and there is a heaviness in our ears, and a veil hangs between us and you, so work, we too are working. (To) those who do not give poor-rate and they are unbelievers in the hereafter. (As for) those who believe and do good, they shall surely have a reward never to be cut off. Say: What! do you indeed disbelieve in Him Who created the earth in two periods, and do you set up equals with Him? That is the Lord of the Worlds. And He made in it mountains above its surface, and He blessed therein and made therein its foods, in four periods: alike for the seekers. Then He directed Himself to the heaven and it is a vapor, so He said to it and to the earth: Come both, willingly or unwillingly. They both said: We come willingly. So He ordained them seven heavens in two periods, and revealed in every heaven its affair; and We adorned the lower heaven with brilliant stars and (made it) to guard; that is the decree of the Mighty, the Knowing. But if they turn aside, then say: I have warned you of a scourge like the scourge of Ad and Samood. When their apostles came to them from before them and from behind them, saying, Serve nothing but Allah, they said: If our Lord had pleased He would certainly have sent down angels, so we are surely unbelievers in that with which you are sent. Then as to Ad, they were unjustly proud in the land, and they said: Who is mightier in strength than we? Did they not see that Allah Who created them was mightier than they in strength, and they denied Our communications? So We sent on them a furious wind in unlucky days, that We may make them taste the chastisement of abasement in this world's life; and certainly the chastisement of the hereafter is much more abasing, and they shall not be helped. And as to Samood, We showed them the right way, but they chose error above guidance, so there overtook them the scourge of an abasing chastisement for what they earned. And We delivered those who believed and guarded (against evil). And on the day that the enemies of Allah shall be brought together to the fire, then they shall be formed into groups. Until when they come to it, their ears and their eyes and their skins shall bear witness against them as to what they did. And they shall say to their skins: Why have you borne witness against us? They shall say: Allah Who makes everything speak has made us speak, and He created you at first, and to Him you shall be brought back. And you did not veil yourselves lest your ears and your eyes and your skins should bear witness against you, but you thought that Allah did not know most of what you did. And that was your (evil) thought which you entertained about your Lord that has tumbled you down into perdition, so are you become of the lost ones. Then if they will endure, still the fire is their abode, and if they ask for goodwill, then are they not of those who shall be granted goodwill. And We have appointed for them comrades so they have made fair-seeming to them what is before them and what is behind them, and the word proved true against them-- among the nations of the jinn and the men that have passed away before them-- that they shall surely be losers. And those who disbelieve say: Do not listen to this Quran and make noise therein, perhaps you may overcome. Therefore We will most certainly make those who disbelieve taste a severe punishment, and We will most certainly reward them for the evil deeds they used to do. That is the reward of the enemies of Allah-- the fire; for them therein shall be the house of long abiding; a reward for their denying Our communications. And those who disbelieve will say: Our Lord! show us those who led us astray from among the jinn and the men that we may trample them under our feet so that they may be of the lowest. (As for) those who say: Our Lord is Allah, then continue in the right way, the angels descend upon them, saying: Fear not, nor be grieved, and receive good news of the garden which you were promised. A provision from the Forgiving, the Merciful. And who speaks better than he who calls to Allah while he himself does good, and says: I am surely of those who submit? And not alike are the good and the evil. Repel (evil) with what is best, when lo! he between whom and you was enmity would be as if he were a warm friend. And none are made to receive it but those who are patient, and none are made to receive it but those who have a mighty good fortune. And if an interference of the Shaitan should cause you mischief, seek refuge in Allah; surely He is the Hearing, the Knowing. And among His signs are the night and the day and the sun and the moon; do not prostrate to the sun nor to the moon; and prostrate to Allah Who created them, if Him it is that you serve. But if they are proud, yet those with your Lord glorify Him during the night and the day, and they are not tired. And among His signs is this, that you see the earth still, but when We send down on it the water, it stirs and swells: most surely He Who gives it life is the Giver of life to the dead; surely He has power over all things. Surely they who deviate from the right way concerning Our communications are not hidden from Us. What! is he then who is cast into the fire better, or he who comes safe on the day of resurrection? Do what you like, surely He sees what you do. Falsehood shall not come to it from before it nor from behind it; a revelation from the Wise, the Praised One. Naught is said to you but what was said indeed to the apostles before you; surely your Lord is the Lord of forgiveness and the Lord of painful retribution. And if We had made it a Quran in a foreign tongue, they would certainly have said: Why have not its communications been made clear? What! a foreign (tongue) and an Arabian! Say: It is to those who believe a guidance and a healing; and (as for) those who do not believe, there is a heaviness in their ears and it is obscure to them; these shall be called to from a far-off place. And certainly We gave the Book to Musa, but it has been differed about, and had not a word already gone forth from your Lord, judgment would certainly have been given between them; and most surely they are in a disquieting doubt about it. Whoever does good, it is for his own soul, and whoever does evil, it is against it; and your Lord is not in the least unjust to the servants. To Him is referred the knowledge of the hour, and there come not forth any of the fruits from their coverings, nor does a female bear, nor does she give birth, but with His knowledge; and on the day when He shall call out to them, Where are (those whom you called) My associates? They shall say: We declare to Thee, none of us is a witness. And away from them shall go what they called upon before, and they shall know for certain that there is no escape for them. Man is never tired of praying for good, and if evil touch him, then he is despairing, hopeless. And if We make him taste mercy from Us after distress that has touched him, he would most certainly say: This is of me, and I do not think the hour will come to pass, and if I am sent back to my Lord, I shall have with Him sure good; but We will most certainly inform those who disbelieved of what they did, and We will most certainly make them taste of hard chastisement. And when We show favor to man, he turns aside and withdraws himself; and when evil touches him, he makes lengthy supplications. Say: Tell me if it is from Allah; then you disbelieve in it, who is in greater error than he who is in a prolonged opposition? We will soon show them Our signs in the Universe and in their own souls, until it will become quite clear to them that it is the truth. Is it not sufficient as regards your Lord that He is a witness over all things? Yeezevee is a...And indeed it is a mighty Book. Reading the surrounding verses won’t tell us the missing content. And I must agree here with C-Lurker., he does have point in saying " that verse is indeed has "missing content"
but so what if it is missing? So it is published as surah 12 in the book and its name is Surh Yousuf and it has 111 verses and it allegedly reveled to the alleged Prophet of Islam in Macca., that is what we know ... So let us read some 30 verses from it..
1 Alif Lam Ra. These are the verses of the Book that makes (things) manifest. 2 Surely We have revealed it-- an Arabic Quran-- that you may understand. 3 We narrate to you the best of narratives, by Our revealing to you this Quran, though before this you were certainly one of those who did not know. 4 When Yusuf said to his father: O my father! surely I saw eleven stars and the sun and the moon-- I saw them making obeisance to me. 5 He said: O my son! do not relate your vision to your brothers, lest they devise a plan against you; surely the Shaitan is an open enemy to man. 6 And thus will your Lord choose you and teach you the interpretation of sayings and make His favor complete to you and to the children of Yaqoub, as He made it complete before to your fathers, Ibrahim and Ishaq; surely your Lord is Knowing, Wise. 7 Certainly in Yusuf and his brothers there are signs for the inquirers. 9 Slay Yusuf or cast him (forth) into some land, so that your father's regard may be exclusively for you, and after that you may be a righteous people. 10 A speaker from among them said: Do not slay Yusuf, and cast him down into the bottom of the pit if you must do (it), (so that) some of the travellers may pick him up. 12 Send him with us tomorrow that he may enjoy himself and sport, and surely we will guard him well. 13 He said: Surely it grieves me that you should take him off, and I fear lest the wolf devour him while you are heedless of him. 14 They said: Surely if the wolf should devour him notwithstanding that we are a (strong) company, we should then certainly be losers. 15 So when they had gone off with him and agreed that they should put him down at the bottom of the pit, and We revealed to him: You will most certainly inform them of this their affair while they do not perceive. 16 And they came to their father at nightfall, weeping. 17 They said: O our father! surely we went off racing and left Yusuf by our goods, so the wolf devoured him, and you will not believe us though we are truthful. 18 And they brought his shirt with false blood upon it. He said: Nay, your souls have made the matter light for you, but patience is good and Allah is He Whose help is sought for against what you describe. 19 And there came travellers and they sent their water-drawer and he let down his bucket. He said: O good news! this is a youth; and they concealed him as an article of merchandise, and Allah knew what they did. 20 And they sold him for a small price, a few pieces of silver, and they showed no desire for him. 21 And the Egyptian who bought him said to his wife: Give him an honorable abode, maybe he will be useful to us, or we may adopt him as a son. And thus did We establish Yusuf in the land and that We might teach him the interpretation of sayings; and Allah is the master of His affair, but most people do not know. 22 And when he had attained his maturity, We gave him wisdom and knowledge: and thus do We reward those who do good. 23 And she in whose house he was sought to make himself yield (to her), and she made fast the doors and said: Come forward. He said: I seek Allah's refuge, surely my Lord made good my abode: Surely the unjust do not prosper. 24 And certainly she made for him, and he would have made for her, were it not that he had seen the manifest evidence of his Lord; thus (it was) that We might turn away from him evil and indecency, surely he was one of Our sincere servants. 25 And they both hastened to the door, and she rent his shirt from behind and they met her husband at the door. She said: What is the punishment of him who intends evil to your wife except imprisonment or a painful chastisement? 27 And if his shirt is rent from behind, she tells a lie and he is one of the truthful. 29 O Yusuf! turn aside from this; and (O my wife)! ask forgiveness for your fault, surely you are one of the wrong-doers. 30 And women in the city said: The chiefs wife seeks her slave to yield himself (to her), surely he has affected her deeply with (his) love; most surely we see her in manifest error. 31 So when she heard of their sly talk she sent for them and prepared for them a repast, and gave each of them a knife, and said (to Yusuf): Come forth to them. So when they saw him, they deemed him great, and cut their hands (in amazement), and said: Remote is Allah (from imperfection); this is not a mortal; this is but a noble angel. 32 She said: This is he with respect to whom you blamed me, and certainly I sought his yielding himself (to me), but he abstained, and if he does not do what I bid him, he shall certainly be imprisoned, and he shall certainly be of those who are in a state of ignominy. 33 He said: My Lord! the prison house is dearer to me than that to which they invite me; and if Thou turn not away their device from me, I will yearn towards them and become (one) of the ignorant. 34 Thereupon his Lord accepted his prayer and turned away their guile from him; surely He is the Hearing, the Knowing. 35 Then it occurred to them after they had seen the signs that they should imprison him till a time. 36 And two youths entered the prison with him. One of them said: I saw myself pressing wine. And the other said: I saw myself carrying bread on my head, of which birds ate. Inform us of its interpretation; surely we see you to be of the doers of good. 39 O my two mates of the prison! are sundry lords better or Allah the One, the Supreme? 41 O my two mates of the prison! as for one of you, he shall give his lord to drink wine; and as for the other, he shall be crucified, so that the birds shall eat from his head, the matter is decreed concerning which you inquired. 42 And he said to him whom he knew would be delivered of the two: Remember me with your lord; but the Shaitan caused him to forget mentioning (it) to his lord, so he remained in the prison a few years. 43 And the king said: Surely I see seven fat kine which seven lean ones devoured; and seven green ears and (seven) others dry: O chiefs! explain to me my dream, if you can interpret the dream. 44 They said: Confused dreams, and we do not know the interpretation of dreams. 46 Yusuf! O truthful one! explain to us seven fat kine which seven lean ones devoured, and seven green ears and (seven) others dry, that I may go back to the people so that they may know. 47 He said: You shall sow for seven years continuously, then what you reap leave it in its ear except a little of which you eat. 49 Then there will come after that a year in which people shall have rain and in which they shall press (grapes). 50 And the king said: Bring him to me. So when the messenger came to him, he said: Go back to your lord and ask him, what is the case of the women who cut their hands; surely my Lord knows their guile. 51 He said: How was your affair when you sought Yusuf to yield himself (to you)? They said: Remote is Allah (from imperfection), we knew of no evil on his part. The chief's wife said: Now has the truth become established: I sought him to yield himself (to me), and he is most surely of the truthful ones. 52 This is that he might know that I have not been unfaithful to him in secret and that Allah does not guide the device of the unfaithful. 53 And I do not declare myself free, most surely (man's) self is wont to command (him to do) evil, except such as my Lord has had mercy on, surely my Lord is Forgiving, Merciful. 54 And the king said: Bring him to me, I will choose him for myself. So when he had spoken with him, he said: Surely you are in our presence today an honorable, a faithful one. 55 He said: Place me (in authority) over the treasures of the land, surely I am a good keeper, knowing well. 56 And thus did We give to Yusuf power in the land-- he had mastery in it wherever he liked; We send down Our mercy on whom We please, and We do not waste the reward of those who do good. 57 And certainly the reward of the hereafter is much better for those who believe and guard (against evil). 58 And Yusuf's brothers came and went in to him, and he knew them, while they did not recognize him. 59 And when he furnished them with their provision, he said: Bring to me a brother of yours from your father; do you not see that I give full measure and that I am the best of hosts? 60 But if you do not bring him to me, you shall have no measure (of corn) from me, nor shall you come near me. 61 They said: We will strive to make his father yield in respect of him, and we are sure to do (it). 62 And he said to his servants: Put their money into their bags that they may recognize it when they go back to their family, so that they may come back. 63 So when they returned to their father, they said: O our father, the measure is withheld from us, therefore send with us our brother, (so that) we may get the measure, and we will most surely guard him. 64 He said: I cannot trust in you with respect to him, except as I trusted in you with respect to his brother before; but Allah is the best Keeper, and He is the most Merciful of the merciful ones. 65 And when they opened their goods, they found their money returned to them. They said: O our father! what (more) can we desire? This is our property returned to us, and we will bring corn for our family and guard our brother, and will have in addition the measure of a camel (load); this is an easy measure. 66 He said: I will by no means send him with you until you give me a firm covenant in Allah's name that you will most certainly bring him back to me, unless you are completely surrounded. And when they gave him their covenant, he said: Allah is the One in Whom trust is placed as regards what we say. 67 And he said: O my sons! do not (all) enter by one gate and enter by different gates and I cannot avail you aught against Allah; judgment is only Allah's; on Him do I rely, and on Him let those who are reliant rely. 68 And when they had entered as their father had bidden them, it did not avail them aught against Allah, but (it was only) a desire in the soul of Yaqoub which he satisfied; and surely he was possessed of knowledge because We had given him knowledge, but most people do not know. 69 And when they went in to Yusuf. he lodged his brother with himself, saying: I am your brother, therefore grieve not at what they do. 70 So when he furnished them with their provisions, (someone) placed the drinking cup in his brother's bag. Then a crier cried out: O caravan! you are most surely thieves. 71 They said while they were facing them: What is it that you miss? 72 They said: We miss the king's drinking cup, and he who shall bring it shall have a camel-load and I am responsible for it. 73 They said: By Allah! you know for certain that we have not come to make mischief in the land, and we are not thieves. 74 They said: But what shall be the requital of this, if you are liars? 75 They said: The requital of this is that the person in whose bag it is found shall himself be (held for) the satisfaction thereof; thus do we punish the wrongdoers. 76 So he began with their sacks before the sack of his brother, then he brought it out from his brother's sack. Thus did We plan for the sake of Yusuf; it was not (lawful) that he should take his brother under the king's law unless Allah pleased; We raise the degrees of whomsoever We please, and above every one possessed of knowledge is the All-knowing one. 77 They said: If he steal, a brother of his did indeed steal before; but Yusuf kept it secret in his heart and did not disclose it to them. He said: You are in an evil condition and Allah knows best what you state. 78 They said: O chief! he has a father, a very old man, therefore retain one of us in his stead; surely we see you to be of the doers of good. 79 He said: Allah protect us that we should seize other than him with whom we found our property, for then most surely we would be unjust. 82 And inquire in the town in which we were and the caravan with which we proceeded, and most surely we are truthful. 83 He (Yaqoub) said: Nay, your souls have made a matter light for you, so patience is good; maybe Allah will bring them all together to me; surely He is the Knowing, the Wise. 84 And he turned away from them, and said: O my sorrow for Yusuf! and his eyes became white on account of the grief, and he was a repressor (of grief). 85 They said: By Allah! you will not cease to remember Yusuf until you are a prey to constant disease or (until) you are of those who perish. 86 He said: I only complain of my grief and sorrow to Allah, and I know from Allah what you do not know. 87 O my sons! Go and inquire respecting Yusuf and his brother, and despair not of Allah's mercy; surely none despairs of Allah's mercy except the unbelieving people. 88 So when they came in to him, they said: O chief! distress has afflicted us and our family and we have brought scanty money, so give us full measure and be charitable to us; surely Allah rewards the charitable. 89 He said: Do you know how you treated Yusuf and his brother when you were ignorant? 90 They said: Are you indeed Yusuf? He said: I am Yusuf and this is my brother; Allah has indeed been gracious to us; surely he who guards (against evil) and is patient (is rewarded) for surely Allah does not waste the reward of those who do good. 91 They said: By Allah! now has Allah certainly chosen you over us, and we were certainly sinners. 92 He said: (There shall be) no reproof against you this day; Allah may forgive you, and He is the most Merciful of the merciful. 93 Take this my shirt and cast it on my father's face, he will (again) be able to see, and come to me with all your families. 94 And when the caravan had departed, their father said: Most surely I perceive the greatness of Yusuf, unless you pronounce me to be weak in judgment. 95 They said: By Allah, you are most surely in your old error. 96 So when the bearer of good news came he cast it on his face, so forthwith he regained his sight. He said: Did I not say to you that I know from Allah what you do not know? 97 They said: O our father! ask forgiveness of our faults for us, surely we were sinners. 98 He said: I will ask for you forgiveness from my Lord; surely He is the Forgiving, the Merciful. 99 Then when they came in to Yusuf, he took his parents to lodge with him and said: Enter safe into Egypt, if Allah please. 100 And he raised his parents upon the throne and they fell down in prostration before him, and he said: O my father! this is the significance of my vision of old; my Lord has indeed made it to be true; and He was indeed kind to me when He brought me forth from the prison and brought you from the desert after the Shaitan had sown dissensions between me and my brothers, surely my Lord is benignant to whom He pleases; surely He is the Knowing, the Wise. 101 My Lord! Thou hast given me of the kingdom and taught me of the interpretation of sayings: Originator of the heavens and the earth! Thou art my guardian in this world and the hereafter; make me die a muslim and join me with the good. 102 This is of the announcements relating to the unseen (which) We reveal to you, and you were not with them when they resolved upon their affair, and they were devising plans. 103 And most men will not believe though you desire it eagerly. 104 And you do not ask them for a reward for this; it is nothing but a reminder for all mankind. 105 And how many a sign in the heavens and the earth which they pass by, yet they turn aside from it. 106 And most of them do not believe in Allah without associating others (with Him). 107 Do they then feel secure that there may come to them an extensive chastisement from Allah or (that) the hour may come to them suddenly while they do not perceive? 108 Say: This is my way: I call to Allah, I and those who follow me being certain, and glory be to Allah, and I am not one of the polytheists. 109 And We have not sent before you but men from (among) the people of the towns, to whom We sent revelations. Have they not then travelled in the land and seen what was the end of those before them? And certainly the abode of the hereafter is best for those who guard (against evil); do you not then understand? 110 Until when the apostles despaired and the people became sure that they were indeed told a lie, Our help came to them and whom We pleased was delivered; and Our punishment is not averted from the guilty people. 111 In their histories there is certainly a lesson for men of understanding. It is not a narrative which could be forged, but a verification of what is before it and a distinct explanation of all things and a guide and a mercy to a people who believe. So just to remind myself., i am reading Quran in this folder for specific purpose., and that to figure out what it says about Prophet of Islam? Can we get some historical facts from it on or about geographical/ or about people of its time.... well i will read all of the chapter again some 20 to 30 verses at a time..
i am reading the next surah ., The Surah 53 ., So it is published as surah 12 in the book and its name is Surh Yousuf and it has 111 verses and it allegedly reveled to the alleged Prophet of Islam in Macca., that is what we know ..
well reading 20-30 verses at time IS NOT necessary for this surah., This is one of those very unique surahs of Quran that has only a story of ISLAMIC NARRATIVE on Prophet Yusuf or Joseph or that Biblical narrative Story of Joseph., It is essentially a story for Muslim children on Biblical prophets and My favorite Islamic site Al-islam.org tells much better story than you can get from reading those 111 verses.. So again these 111 verses having nothing to do with Alleged Prophet of Islam and any sect of Abrahamic faith/s WILL TELL YOU THE SAME STORY TO CHILDREN on that Prophet Joseph. But there is an interesting side story to this surah in the present times with reference to analyzing it to figure out the Author who wrote this story in to Quran in early Islam using that Stylometric analysis of Quran It is one of those good chapters to do such analysis as it contains only THE STORY OF YUSUF and nothing else .. So let me do that Stylometric experiment on this surah., It has 111 verses ., out of which the following verses 1 to 3 and 101 to 111 are irrelevant because they can be added to any surah or to any story or to any faith book as FAITH REINFORCING STATEMENTS . 3). Alqurneh, A & Mustapha, Aida & Murad, Masrah & Sharef, Nurfadhlina. ((2014). Stylometric model for detecting oath expressions: A case study for Quranic texts. Digital Scholarship in the Humanities. 31. 10.1093/llc/fqu038. 4). Sayoud, H. ((2015). A Visual Analytics based Investigation on the Authorship of the Holy Quran. IVAPP 2015 - 6th International Conference on Information Visualization Theory and Applications; VISIGRAPP, Proceedings. 177-181. 10.5220/0005355601770181. After writing some 10 pages on doing that stylometric analysis of surah -53 ., I realized IT IS A WORTHLESS EXPERIMENT .. So let me read Chapter -54 aka surah-15. .... Al-Hijr ...........Al-Hijr....Al-Hijr ., well it has 99 verses in it allegedly reveled in Mecca., Not sure why it has to be 99 verses?? why not 100 or why not some 90., but that is the way it is .. well Allah knows the best and HEeeeee(NOT SHE) can only answer., anyway .. our 99 verses..
1: Alif Lam Ra. These are the verses of the Book and (of) a Quran that makes (things) clear. 2: Often will those who disbelieve wish that they had been Muslims. 3: Leave them that they may eat and enjoy themselves and (that) hope may beguile them, for they will soon know. 4: And never did We destroy a town but it had a term made known. 5: No people can hasten on their doom nor can they postpone (it). 7: Why do you not bring to us the angels if you are of the truthful ones? 8: We do not send the angels but with truth, and then they would not be respited. 9: Surely We have revealed the Reminder and We will most surely be its guardian. 10: And certainly We sent (apostles) before you among the nations of yore. 11: And there never came an apostle to them but they mocked him. 13: They do not believe in it, and indeed the example of the former people has already passed. 15: They would certainly say: Only our eyes.have been covered over, rather we are an enchanted people. 16: And certainly We have made strongholds in the heaven and We have made it fair seeming to the beholders. 18: But he who steals a hearing, so there follows him a visible flame. 19: And the earth— We have spread it forth and made in it firm mountains and caused to grow in it of every suitable thing. 21: And there is not a thing but with Us are the treasures of it, and We do not send it down but in a known measure. 22: And We send the winds fertilizing, then send down water from the cloud so We give it to you to drink of, nor is it you who store it up. 23: And most surely We bring to life and cause to die and We are the heirs. 24: And certainly We know those of you who have gone before and We certainly know those who shall come later. 25: And surely your Lord will gather them together; surely He is Wise, Knowing. 26: And certainly We created man of clay that gives forth sound, of black mud fashioned in shape. 27: And the jinn We created before, of intensely hot fire. 28: And when your Lord said to the angels: Surely I am going to create a mortal of the essence of black mud fashioned in shape. 29: So when I have made him complete and breathed into him of My spirit, fall down making obeisance to him. 32: He said: O Iblis! what excuse have you that you are not with those who make obeisance? 33: He said: I am not such that I should make obeisance to a mortal whom Thou hast created of the essence of black mud fashioned in shape. 35: And surely on you is curse until the day of judgment. 38: Till the period of the time made known. 40: Except Thy servants from among them, the devoted ones. 42: Surely. as regards My servants, you have no authority ,over them except those who follow you of the deviators. 44: It has seven gates; for every gate there shall be a separate party of them. 46: Enter them in peace, secure. 47: And We will root out whatever of rancor is in their breasts— (they shall be) as brethren, on raised couches, face to face. 48: Toil shall not afflict them in it, nor shall they be ever ejected from it. 50: And that My punishment— that is the painful punishment. 52: When they entered upon him, they said, Peace. He said: Surely we are afraid of you. 53: They said: Be not afraid, surely we give you the good news of a boy, possessing knowledge. 54: He said: Do you give me good news (of a son) when old age has come upon me?— Of what then do you give me good news! 55: They said: We give you good news with truth, therefore be not of the despairing. 56: He said: And who despairs of the mercy of his Lord but the erring ones? 57: He said: What is your business then, O messengers? 60: Except his wife; We ordained that she shall surely be of those who remain behind. 62: He said: Surely you are an unknown people. 63: They said: Nay, we have come to you with that about which they disputed. 64: And we have come to you with the truth, and we are most surely truthful. 65: Therefore go forth with your followers in a part of the night and yourself follow their rear, and let not any one of you turn round, and go forth whither you are commanded. 66: And We revealed to him this decree, that the roots of these shall be cut off in the morning. 67: And the people of the town came rejoicing. 69: And guard against (the punishment of) Allah and do not put me to shame. 70: They said: Have we not forbidden you from (other) people? 71: He said: These are my daughters, if you will do (aught). 72: By your life! they were blindly wandering on in their intoxication. 74:Thus did We turn it upside down, and rained down upon them stones of what had been decreed. 75: Surely in this are signs for those who examine. 76: And surely it is on a road that still abides. 77: Most surely there is a sign in this for the believers. 78: And the dwellers of the thicket also were most surely unjust. 79: So We inflicted retribution on them, and they are both, indeed, on an open road (still) pursued. 82: And they hewed houses in the mountains in security. 84: And what they earned did not avail them. 85: And We did not create the heavens and the earth and what is between them two but in truth; and the hour is most surely coming, so turn away with kindly forgiveness. 86: Surely your Lord is the Creator of all things, the Knowing. 87: And certainly We have given you seven of the oft-repeated (verses) and the grand Quran. 88: Do not strain your eyes after what We have given certain classes of them to enjoy, and do not grieve for them, and make yourself gentle to the believers. 89: And say: Surely I am the plain warner. 91: Those who made the Quran into shreds. 93: As to what they did. 94: Therefore declare openly what you are bidden and turn aside from the polytheists. 96: Those who set up another god with Allah; so they shall soon know. 98: Therefore celebrate the praise of your Lord, and be of those who make obeisance. 99: And serve your Lord until there comes to you that which is certain. So it needs careful reading .. it need to be cut in to pieces and make songs..sonnets and stories out of it.. and let me do that in the next post apart from adding some Tafsir on this surah..
that verse 18 has no connection to any other verses that are around it.. Anyways let me go and hear from tubes and read from links all these Tafsir from different experts and WRITE MY OWN TAFSIR AT THE END..
my good ness gracious there are literally 100s of tafsir you tubes on Surah Al-Hijr.. I can not watch every fool . so I select some tubes and some links ..
except the one who listens by stealth — he is pursued by a clear flame a shining meteor that burns him or pierces him or drives him insane.